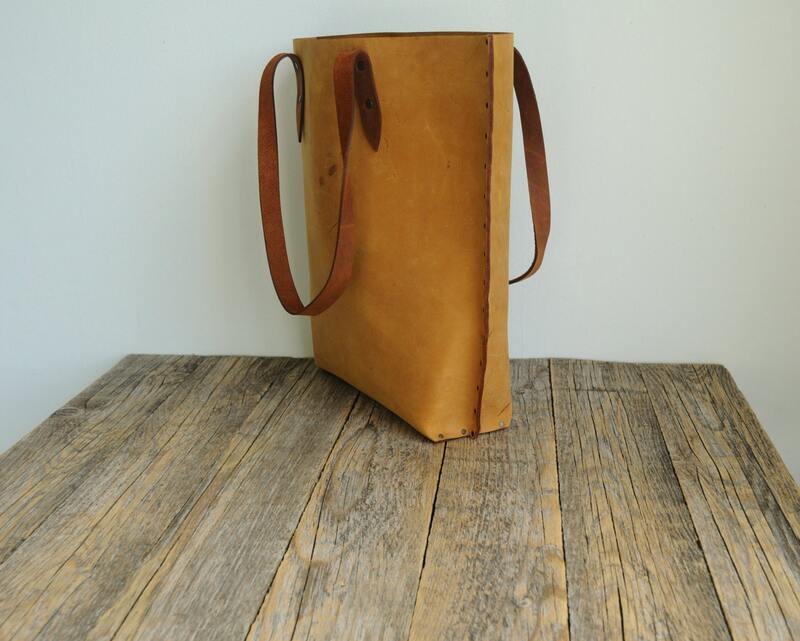 Take a look at our unique, urban style handmade leather tote! Casual yet sophisticated, this charming accessory can be used during any season! 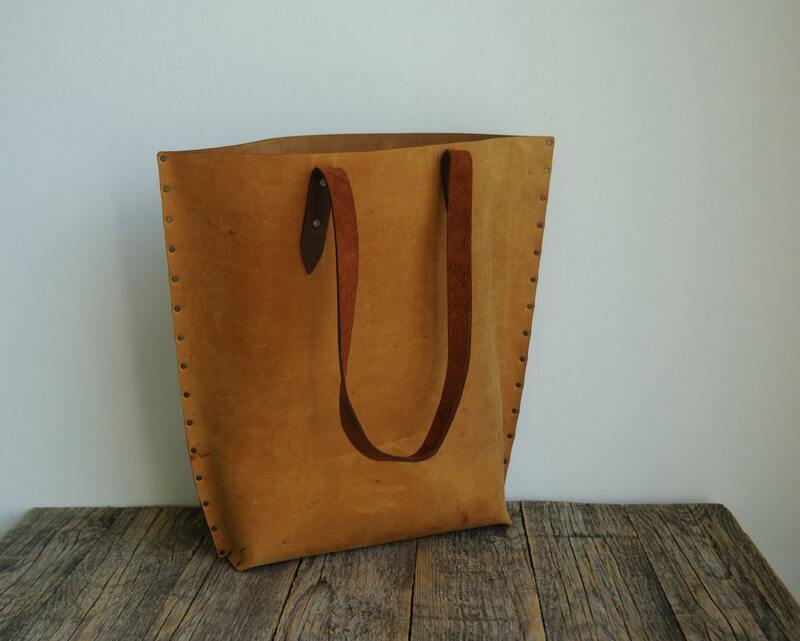 Made with the best waxed "Crazy Horse" leather we could find, this bag is handmade and secured using rivets on the outer seams. Ready to be used everyday, this durable bag does not have an interior lining, but there is one leather pocket inside. 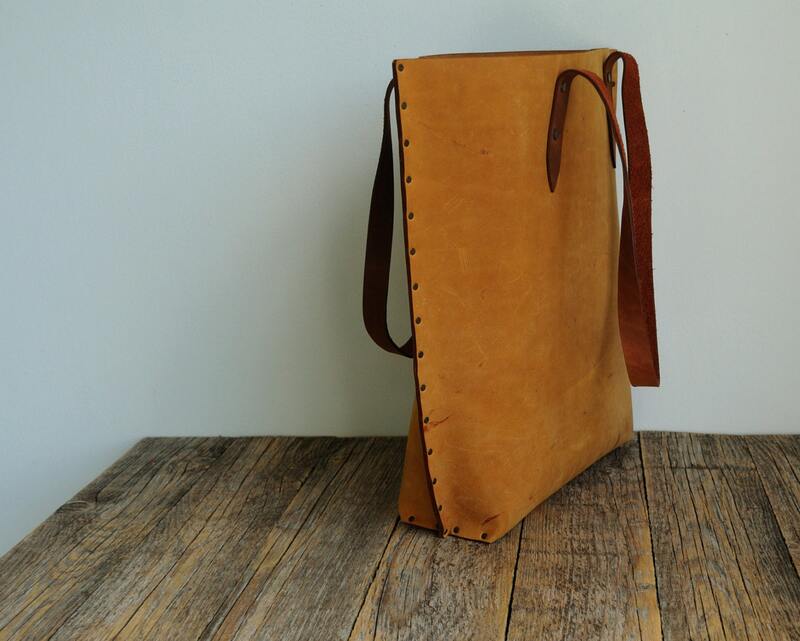 Measuring at 40cm x 40cm or 16” x 16”, this bag is ready to be yours! 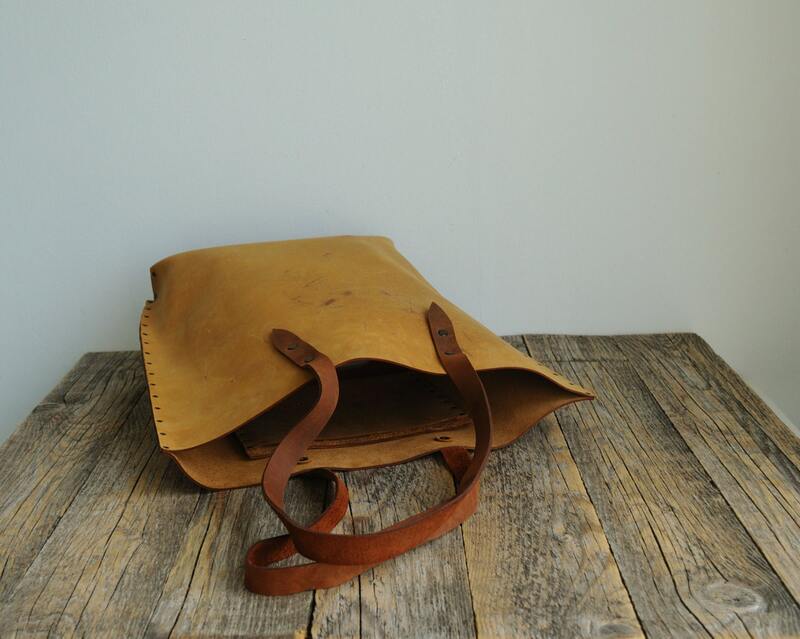 Please note that all of our items differ since leather naturally has inconsistent texture and markings. The item you see in this picture may differ slightly in texture or markings from the one we have in stock. We guarantee speedy shipping – same or next business day! We also guarantee that if you are not happy with your purchase, then we will gladly take the item back. Here at Happer Studios, we pride ourselves on wonderful customer service. Happy Studios is a small, family run business. We specialize in modern, yet timeless, leather bags, sleeves, cases, and accessories. Every item is handmade with love and care, and we guarantee you will enjoy our products! My wife loves the bag, Thank you! !